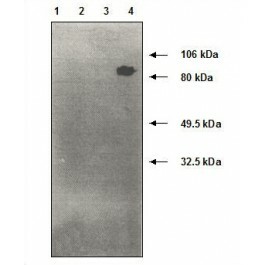 Mouse anti Human MMP-9 2C3. 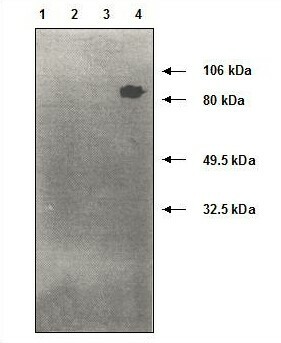 Matrix metalloproteinase (MMP) family are involved in the breakdown of extracellular matrix (ECM) in normal physiological processes as well as in disease processes. Tissue inhibitors of metalloproteinases (TIMPs) are the main physiological regulators of the MMPs. The TIMPs are secreted proteins that complex with individual MMPs and regulate the activity of specific MMPs. Together, the MMPs and TIMPs form a complex biological system strictly controlling degradation of ECM. The MMPs and TIMPs have a significant role in facilitating tumour invasion and metastasis. 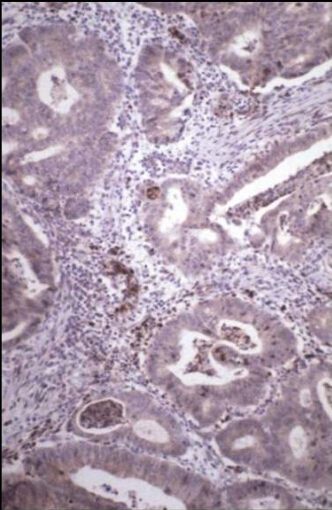 Expression of MMP9 has been identified in individual studies as prognostic biomarkers in established and locally advanced colorectal cancer. PBS with 0.02% Sodium Azide.